Being a family caregiver for an elderly adult is difficult and stressful, but this can be even more so when you live at a distance from your elder and are not able to be with them as often as you would like to be. As a distance caregiver, you have to put extra thought, planning, and consideration into making sure that your senior’s individual needs are handled properly. Fortunately, the tremendous range of technology that is available today makes it easier for you to help your parent from a distance while feeling more confident that they are still getting what they need and living the lifestyle that they desire and deserve. Being able to shop online for groceries is an exceptional benefit to those elder adults who are not able to get out of the house and do their own shopping, whether that is due to lack of transportation, no longer driving, or mobility issues that keep them from being able to safely and comfortably navigate a grocery store. There are certain foods and products that your parent should have in their home at all times. Some frequent basics include peanut butter, pasta, toilet paper, and laundry detergent. Many online shopping destinations allow you to set scheduled deliveries of your parent’s favorite items so that you can make sure that they never run out. 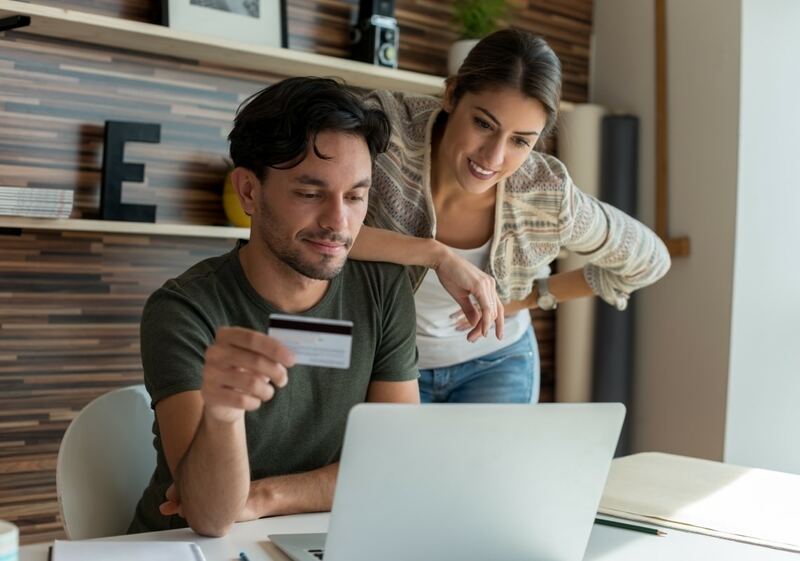 If you have taken on the responsibility of managing your parent’s finances, online grocery shopping can make controlling their grocery budget far easier. With this type of shopping, you are able to either make the orders for your parent using their account or set an amount that they can spend when making their own orders. Ordering groceries online will not necessarily replace going to the grocery store. Your parent will probably still need to go to the store for items such as fresh produce, dairy products, meats, and specialty items that they might need for a specific recipe or occasion. Shopping online for the core items that they need, however, can shorten the amount of time that they need to spend in the store, reducing stress and helping them better deal with physical challenges. If you have siblings or other family members who want to be involved in your parent’s care but are not able to be with them physically, online grocery shopping is a fantastic way to accept this involvement. The person can order groceries to be delivered to your parent or can simply provide funding for your parent to get what they need. If you have been considering ways that you can boost your caregiver efforts for your senior and encourage a higher quality of life for them as they age in place, starting elder care may be your ideal solution. An elder home care services provider can be an invaluable addition to your care routine, ensuring that any care gaps that exist in what you are able to give to your parent are filled. This ensures that your parent will get all of the care, support, assistance, and encouragement that they need to handle their individual needs, challenges, and limitations in a way that is right for them. Through this highly personalized set of services, the elder care provider can help your parent to pursue a lifestyle that is more independent and fulfilling as they age. As their family caregiver, this can give you peace of mind knowing that both when you are with them and when you are not, your loved one is getting the care that is right for them and living the lifestyle that they deserve. If you or an aging loved one are considering home care services, contact the caring staff at Sonas Home Health Care. Call (888) 592-5855 today.